The reason why there is a painting gallery in the jungle, Van Anh said: “I think art is the one which shouldn’t be shown only in crowded downtown, besides, the way to Sloth Village is awesome with spacious lake interface and unending pine forest. 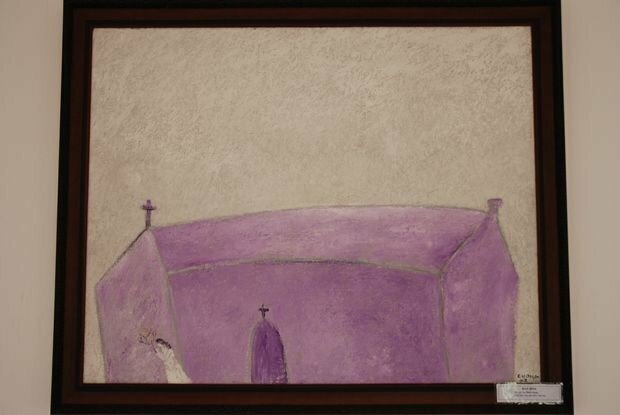 I always think that the works of artists make this appearance and the spirit of the village, not vice versa”. There is currently 150 works in the collection. Besides artists above, there is also Van Duong Thanh, Do Duy Tuan, Le Ngoc Tuong, Le Thanh Tung and many others. For specially Le Thiet Cuong, Nguyen Thanh Binh, Nguyen Van Cuong, each person owns 10 oil paint works, Le Ngoc Linh owns 15 lacquer works… “When you feel like somebody’s picture, being best friends with them is the best way to have a qualified gallery. 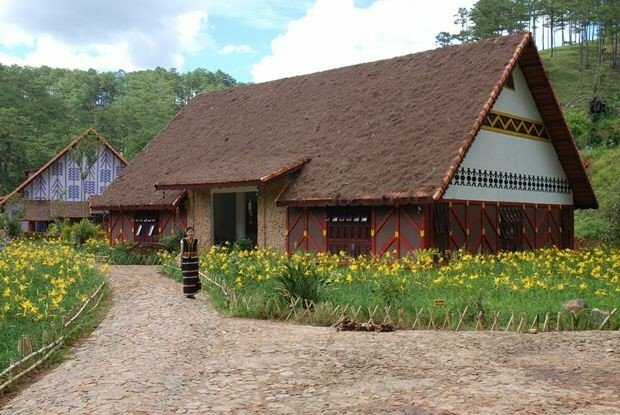 Sloth Village Gallery is opened for free for the tourists who just pass by or stay in. There are days welcoming few tourists or hundreds of them in rush time and the gallery serves thousands visitors in holiday or festival occasions. There are many types of visitors, who have art knowledge, who care, who watch because of curiosity, who just walk by. We are patient to explain them. I think this is a way to bring art get closer to community as well” said Tuan Anh. Born in a poor family in Hoi An, at the age of 11 in 1975, Tuan Anh moved to Saigon. 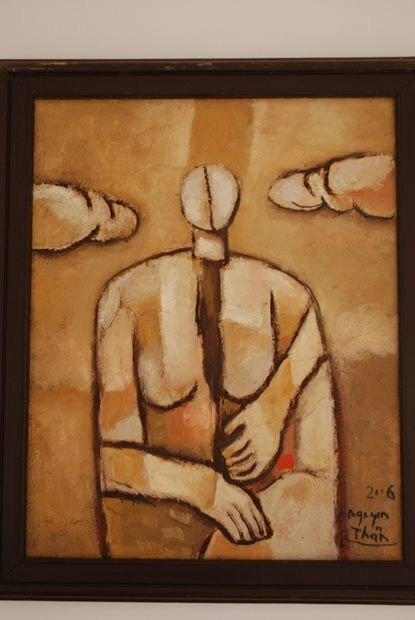 Tuan Anh had not got a degree due to many reasons, but he has a strong passion with art. He himself learned composing songs and used to achieve the award Viet Song. Have strong passion with art so he makes a picture collection and he dare not to draw. From that scene, Sloth Village is like a nice picture of Vietnam village, stay naturally. 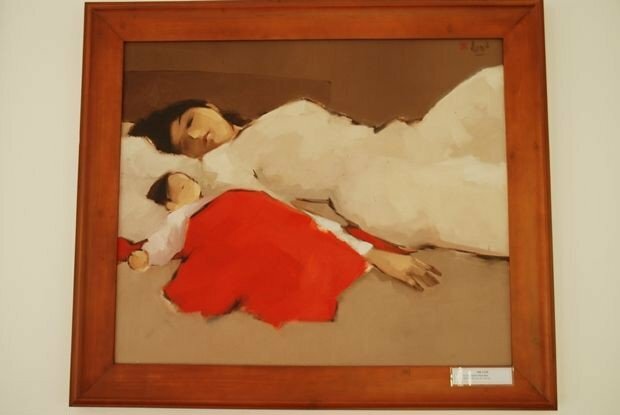 Hopefully the dream of a romantic soul would not be forced to death by the fierce market in order that in the future, the people still know about a 500 picture collection of best Vietnam artists as Van Tuan Anh wishes. 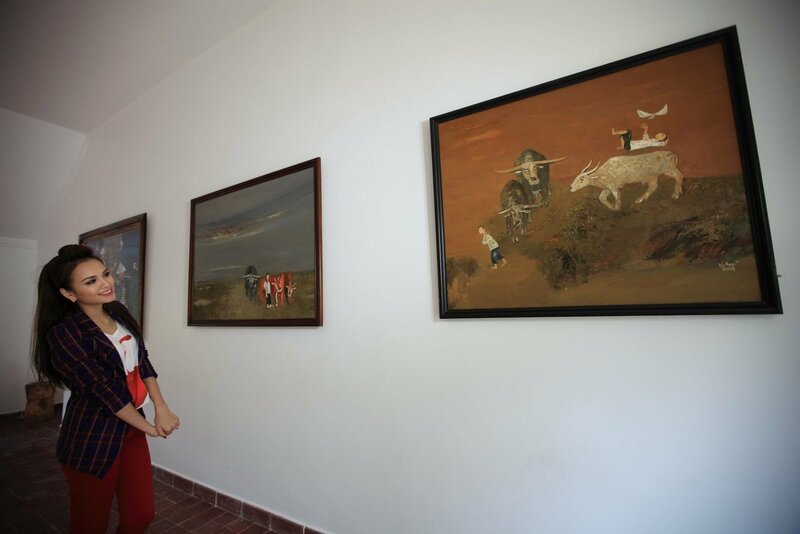 Before leaving Sloth Village, you should not forget to visit the gallery with 300 m2 square of national artist with more than 100 oil paint pictures, powder pictures, lacquer pictures,… which shows the tenderness and artist sense through people and life stuff.